Jaguar Land Rover reveals automatic door opening! Recently Jaguar Land Rover has developed new technology that allows the car door to open automatically as the driver approaches or it can be operated by gesture control. Currently being tested on the Range Rover Sport, the mobility door prototype uses motion sensors and existing keyless entry technology to detect the driver as the approach the vehicle. “The mobility door is an exciting piece of technology that offers a real-world value to our customers. There’s also something very welcoming about the door opening on your approach – something we think will be greatly valued as we become more familiar with shared mobility.” -Xu Zhou, Deep Learning Technical Research Manager at Jaguar Land Rover. Beyond creating a welcome invitation to enter your Jaguar Land Rover, this technology could be of use for disabled people or those carrying groceries, large child seats, or other large items that can make it difficult to open the door. Radar sensors on the driver’s door allows the car to detect obstacles to stop the door from swinging open and bumping into objects. The door can be closed with an overhead button and the door can be programmed to close and lock behind you as you walk away. Research engineers for Jaguar Land Rover have developed the system on a laboratory rig for a time period of over six months before they began testing it on the Range Rover Sport. Learn more about this technology here. 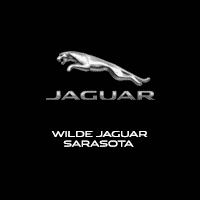 For more Wilde Jaguar news, Follow us on Twitter or Like us on Facebook.